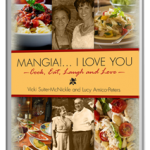 A BIG thank you if you purchased a copy of “Mangia!… I Love You.” I’m delighted to report that over 200 books sold in the first 45 days of going live on Amazon – and that doesn’t include the one’s I purchased! Others have shared about how the stories written by aunts, uncles, and/or grandparents truly touched their hearts. It makes me happy when I hear these stories – THIS is what mom and I wanted the book to be about – connecting and showing affection through food, and sharing great family traditions! I would love to hear what YOU think of the book as well. Would you be willing to take a few minutes and go on to Amazon and write a review? Or, simply leave me your feedback here on the blog. Tell me what you like, or maybe what you’d like to see be different? Thank you – for taking the time and for sharing your thoughts! 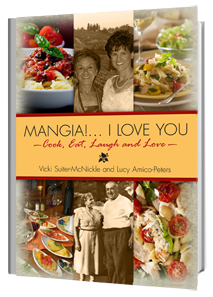 This entry was posted in General and tagged cookbook, feedback, helpful hints, mangia i love you, review, thoughts on this book. Bookmark the permalink.